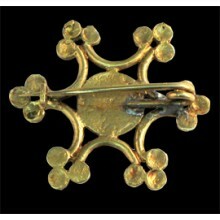 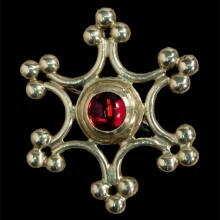 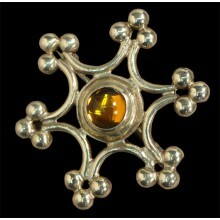 Brooch in cast bronze and hand finished with brass pin-type disappearance, already used by the Celts. 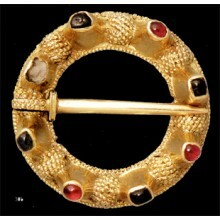 The center stone, in glasspast, is set to hammer. Outside diameter 5.7 cm. 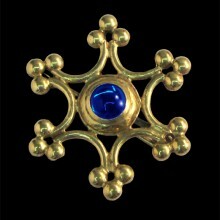 This beautiful pin was taken by the statue of Queen UTA that is part of a series of statues in the cathedral of Naumburg site in Germany and performed by "Master of Naumburg" in 1250.